On Presidents Day weekend, head to the National Constitution Center to learn about the role of the commander in chief through educational programming. There will be trivia, crafts, re-enactors, storytelling and other interactive activities, including a chance for kids to use a voting booth and learn about the election process. On Presidents Day, Feb. 18, admission to the Constitution Center will be free. There will be a special Kids Town Hall, where George Washington, Thomas Jefferson, John Adams and Theodore Roosevelt will answer questions. Kids are also invited to dress up as a president to participate in a costume contest that afternoon. The most original costume will be awarded a family membership, valued at $95. The National Constitution Center is located at Independence Mall, where the Liberty Bell and Independence Hall are also located. 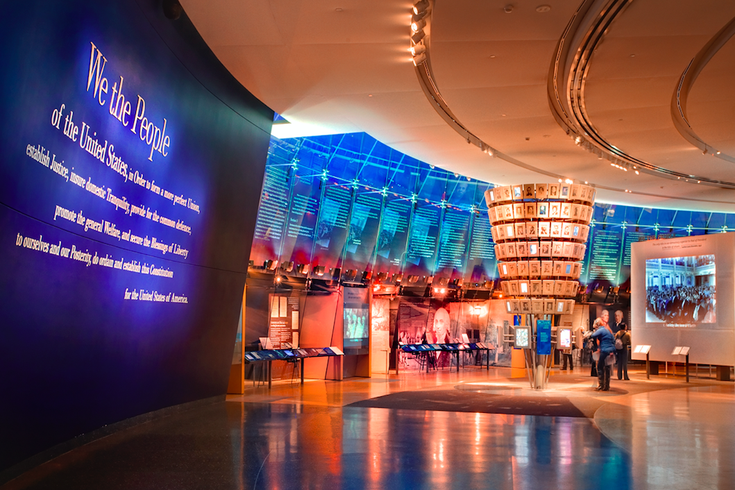 The museum brings the U.S. Constitution to life through exhibits, performances and discussions. Included in general admission is access to "Freedom Rising," a theatrical performance that runs every 30 minutes; access to "The Story of We the People," an interactive exhibit; access to Signers's Hall, where visitors can sign the Constitution alongside life-size statues of the Founding Fathers; and access to daily museum programming.